VG Legend – Responsive Multi-Purpose WordPress Theme Created by VinaWebSolutions. This templates have specific characteristics, namely: VG has features such as High Resolution: Yes, Widget Ready: Yes, Compatible Browsers: IE9, IE10, IE11, Firefox, Safari, Opera, Chrome, Edge, Compatible With: WPML, WooCommerce 2.6.x, WooCommerce 2.5, Visual Composer 4.12.x, Visual Composer 4.11.2.1, Visual Composer 4.11.x, Bootstrap 3.x, Framework: Underscores, Software Version: WordPress 4.7.x, WordPress 4.6.1, WordPress 4.6, WordPress 4.5.x, WordPress 4.5, Columns: 4+ . 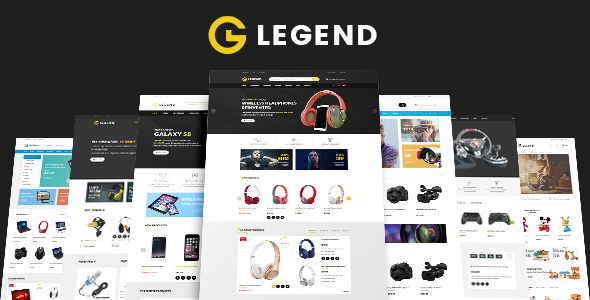 You can use this VG Legend – Responsive Multi-Purpose WordPress Theme on WordPress category for Bootstrap 3, custom style, digital store, fashion store, mobile friendly, Multi languages, multi vendor, page builder, responsive, toys store, woocommerce theme, wordpress theme and another uses. VG Legend is a flexible WordPress theme with a clean and fully responsive design, based on Bootstrap 3 and Redux Framework. Perfect for eCommerce websites: fashion, toys, digital store, etc. and is fully compatible with WooCommerce. Version 1.0 - December 20, 2016- First release.